The last decade has produced an explosion of information about the baby brain, with a growing number of researchers making valuable contributions to the field. My own laboratory’s research has focused on early language acquisition, and recently I have begun to study the effects of music on the baby brain. 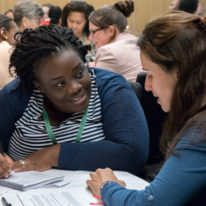 This is showing how fundamental, seemingly unimportant experiences – like a simple game of peek-a-boo – can change broad and important areas of the brain, and enhance the skill sets that these brain areas support. The brain grows very rapidly in the first year of life, with brain areas starting to specialise based on environmental experience. Research in my laboratory has shown that at birth, infants can detect fine acoustic differences between all of the sounds (consonants and vowels) that distinguish words in any language. They are ‘citizens of the world’ with regard to language. By 12 months of age, listening to parents and other caregivers produces an important change – the infant brain begins to specialise on the sounds that distinguish words in their culture, and can no longer hear the distinctions between sounds used exclusively in other languages. For example, the Japanese language does not use the sounds ‘r’ and ‘l’, while English uses them to distinguish words such as ‘rake’ and ‘lake’. 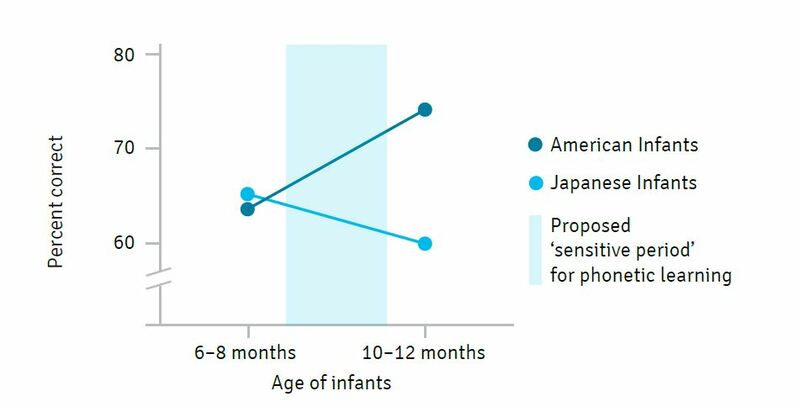 As shown in Figure 1, both American and Japanese infants discriminate the sounds ‘r’ and ‘l’ at 6–8 months of age, But two months later, between 8 and 10 months of age, American infants – who hear these sounds from their parents – show an increase in the ability to discriminate them, whereas Japanese infants –who do not hear these sounds – show a dramatic decrease in their ability to distinguish them. This important change occurs right before the child’s first birthday. It provides the first evidence that infants’ brains are being shaped by hearing parents and caregivers talk to them. 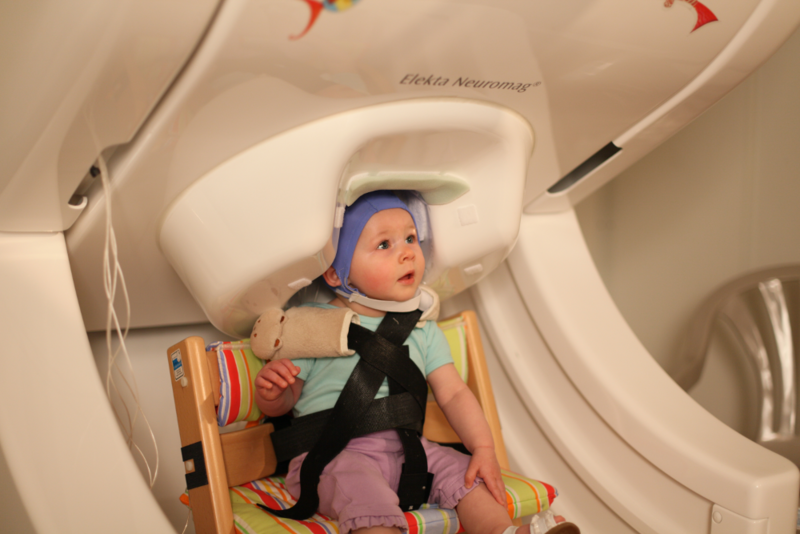 Our laboratory was one of the first groups in the world to study the baby brain using magnetoencephalography (MEG). As shown by Figure 2, the MEG machine looks like a hair dryer from Mars. It has a hood containing 306 sensors that pick up magnetic fields reflecting the firing of neurons in the baby’s brain. The more neurons that are firing in synchrony, the more activity we observe. The MEG machine is totally safe and non-invasive – it measures from the outside, like a stethoscope. It is also totally silent, so we can play sounds to babies and record their brain’s reactions. In the picture, a custom-made adjustable chair was used in order to adjust to the infant’s height, placing the infant’s head under the MEG sensor array for an optimal position during the recording. We investigated another question: could babies learn to distinguish sounds they hear on videos as well as sounds they hear from humans? We exposed two groups of 9-month-old infants to a language that they had not heard before (Figure 3a). One group experienced 12 sessions of social play during which a foreign-language speaker read books and played with toys. The other group was exposed to the same material in the same room for the same number of sessions, but through video (Kuhl et al., 2003). Then we used the MEG machine to find out if infants had learned to distinguish sounds used in the unfamiliar language. As shown in Figure 3b, the infants who watched the videos learned nothing. 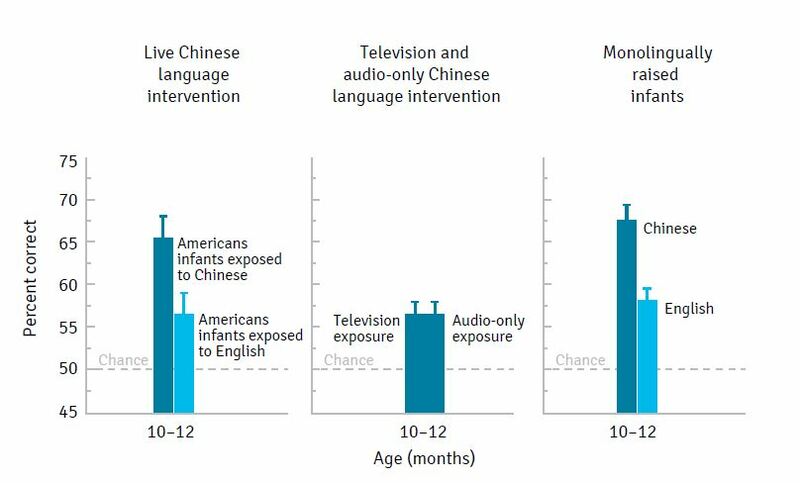 Even though they stared intently at the screen during the sessions, they had no more ability to discriminate sounds than a control group of infants who heard English during the same kinds of language play sessions. But learning was incredibly strong among the infants who heard the foreign language from a human being who was interacting with them socially. 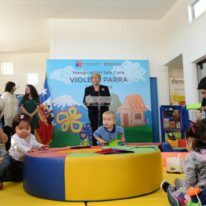 After just 12 sessions, their ability to distinguish sounds was statistically equivalent to infants in the foreign country who have been listening to the language for 10.5 months. This finding was a surprise because, at the time, scientists did not consider social interactions during day-to-day moments very important. Social interaction was considered vital for a child’s social and emotional development, but the idea that infants’ social interactions with caregivers could promote cognitive development had not been widely accepted. "The baby brain “expects” language, and expects it in social settings. When that happens, learning is extraordinary." At ‘critical periods’ in development, the brain is set to ‘expect’ input from the environment. Baby brains are what we call ‘experience-expectant’. When the environment supplies the right kind of input at the critical time, brain networks are formed based on that input. Between 6 and 12 months of age, the baby brain ‘expects’ language, and expects it in social settings. When that happens, learning is extraordinary. Our studies have shown that engaging a young infant in verbal exchanges activates not only the auditory areas in the brain, but also those areas that infants use when they socially engage and talk back to us – setting up a kind of serve-and-volley response between the parent and child. Recently a doctoral student in my laboratory, Christina Zhao, became interested in the effects of music on the baby brain. Christina is a concert pianist, and wondered whether music experiences in social playgroups would promote cognitive development in infants. She, being a musician, thought that something much more than just training the auditory system to detect musical notes would take place. Together we designed an experiment that mimicked those I had conducted on infants’ language learning. 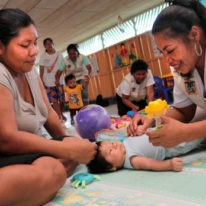 Infants took part in 12 sessions of social play between 9 and 10 months of age, the period when their brains are learning the sounds of language. But instead of hearing a novel language, they were exposed to a specific musical rhythm – the waltz in many forms, from Blue Danube to Take Me Out to the Ballgame. The study incorporated features that we knew to be critical for infant learning: the experience was social, the sensory stimulation was highly variable, and infants and their parents reacted to the tempo of the music – parents helped infants tap their feet or their hands, or used little mallets and drums to keep time with the rhythm (Zhao and Kuhl, 2016). Infants were randomly assigned to the music intervention versus a control group of infants at the same age. Control children were also gathered in social groups with their parents for 12 sessions in which they also played with things like drums, using mallets, but they experienced no rhythm, and heard no music being played. After the 12 sessions, infants in both groups were tested in the MEG machine: we played a new waltz, and occasionally we mistimed the rhythm by delaying the expected note by a fraction of a second to see if their brains would react. We expected that infants in the music group would show greater neural activity in the auditory areas of the brain than infants in the control group, but – to our surprise – infants in the music group also demonstrated much greater neural firing in the pre-frontal cortex, where attention is controlled and patterns are detected. This means that the intervention affected a broader, and higher-level, brain area that assists infants in predicting patterns in the environment. We wondered if our music intervention had improved the infants’ ability to detect other patterns, beyond music. So we further tested them using a language that was foreign to them, Japanese: we created a mistimed syllable to test if infants would perceive that error in the rhythm of speech. Infants in the music group did indeed show greater brain activity both in auditory areas and in the pre-frontal cortex: the experience of keeping time to the rhythm of the waltz had improved their ability to recognise patterns in a foreign language, too. The results suggest that when infants experience patterned auditory, visual, or haptic stimulation, it does not simply train their sensory end organs – their ears, eyes, or their skin – it also helps establish the ability to detect and predict patterns in the world. "We believe that infants’ brains are strengthened in areas that support pattern detection based on the simplest of routines." We live in a world in which no one knows exactly what to expect next. But your life is calmer, and you reserve brain resources for creativity, if you can predict what’s coming next. When you know the route to drive to work, the location of the grocery store, and where the bank is located, your mind is freed up to think about something more exciting, new and creative. When infants learn patterns and routines, it also frees their minds for more creative work. We believe that infants’ brains are strengthened in areas that support pattern detection based on the simplest of routines: when we play music and bounce infants to the rhythm, or play games like peek-a-boo, we repeat the patterns over and over again. Babies know that they’re going to get the ‘boo’ at the end, and they delight in the routine because they can predict it. 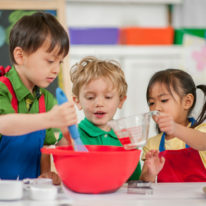 Infants who experience these kinds of activities expect the world to be rational, and they begin to seek patterns in the world, and this is very helpful. We can also imagine the opposite situation – a child in a world that is not always rational. Some children’s worlds are totally chaotic. Toxic stress is real: children can experience abuse, or be neglected, and their homes are completely chaotic. They do not experience routine playful patterns that safely predict what is coming next. They do not have caregivers that act in a predictable way around eating, playing, and bathing – ordinary activities that build a sense of safety and trust. Perhaps all these children can predict is that, at some random time, they may be treated badly or find themselves alone. This is a completely different world for the child. We would expect a very different pattern of brain development in the neglected child. Early experience is potent because it provides patterns. We believe that these patterns affect the baby brain’s architecture, and that this early brain development profoundly affects the child’s future brain growth and skills.